Market Redevelopment Project – A £7million investment for Leicester Market was announced in December 2012 and saw the second phase completed in 2017. A key element of the plan was the construction of a brand new building to replace the current 1970’s Indoor Market, which would aid in making the historic Corn Exchange the focal point of Leicester 700 year old market. 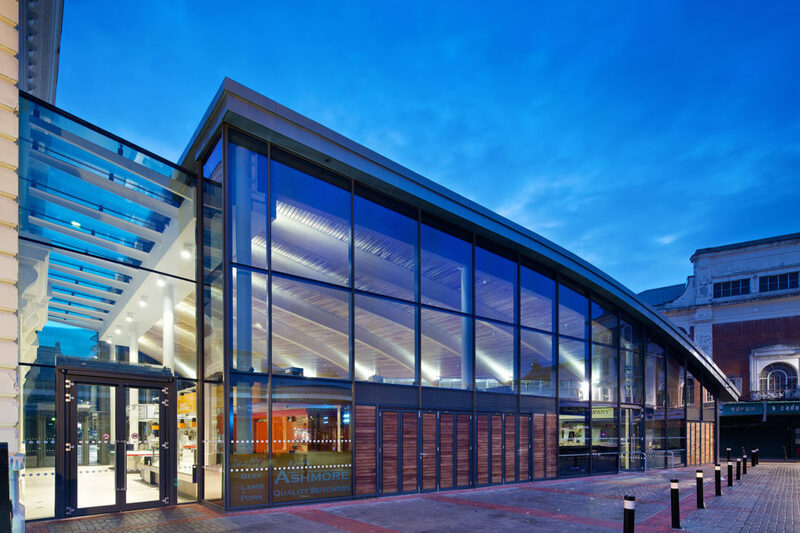 Phase 1 is now completed with the construction of the multi award winning Food Hall – Britain’s Best Food Market 2015. The food hall now has a strong connection to the rest of the market. The new location and dramatic look of the food hall has been welcomed by the market’s loyal customers and has resulted in the introduction of new shoppers. Phase 1 also included the creation of new public toilet facilities, new retail lock ups, and market management offices. Phase 2 saw the demolition of the old 1970’s market centre. Once the demolition was completed, the whole area was opened up to increase sight lines to the historical architecture surrounding the market. New public realm has been created to provide better linkage from the old town into the market and city centre. The square will be used for a range of activities, helping to trigger new investment in areas currently suffering from a lack of footfall and creating potential for new development at the rear of the Corn Exchange. Shortlisted for East Midlands and National RIBA Awards. For more information about the redevelopment proposal, CLICK HERE to download the PDF.